Director Neeraj Pandey is one of the best in the business and has a penchant for making thrillers taking a political, crime issues as its central theme. 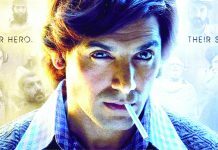 His past experiments with Akshay Kumar, Special 26 and Baby, have worked both at the box office and with masses. 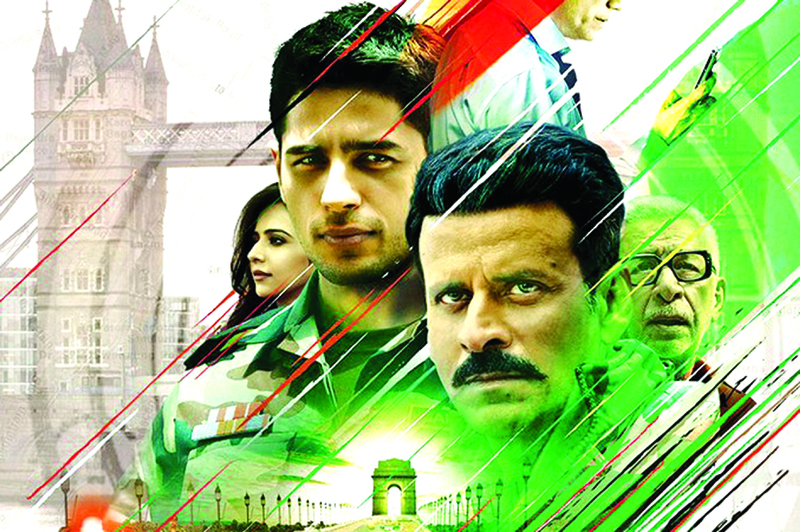 This time around, he is back with Aiyaary which again has a strong plotline and a holds out a promise of dumdaar performances by its leads Manoj Bajpayee, Sidharth Malhotra, Vikram Gokhale and Rakul Preet Singh and added appearances by director’s favourites Anupam Kher and the effervescent Nasseruddin Shah. With masses still warming up to Akshay Kumar’s Pad Man, Aiyaary has released at an opportune moment. Here are our thoughts about the film. Watching the espionage thriller over the weekend? Find out our verdict. First of all, one must be wondering what Aiyaary actually means? So, according to the maker, the word is an embodiment of all the qualities a true soldier must have. A successful soldier is the one who brings out his best in the time of adversity. So, Aiyaary means a combination of sharpness, wit, tact, ability to change appearances and combating techniques a soldier uses to emerge victorious. The movie revolves around Colonel Abhay Singh (Manoj Bajpayee) and Major Jai Bakshi (Sidharth Malhotra) who are both army officers. It majorly focuses on corruption within the army and the system efforts to hunt down Jai who goes rogue after finding out the ugly truth about the defence system. While it is loosely based on the Adarsh Society scam which rocked the nation in 2010, the maker does not revolve the entire movie about it. Instead, he builds on the tension using different plots which come together to make one massive issue, in this case: corruption in the Defense Ministry. 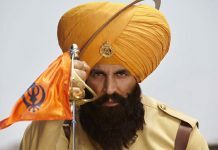 The undercurrent of the film is raging generation gap between Singh and Bakshi. Friends turned foes, both lead characters focus on keeping viewers engaged with their car and mouse chase. 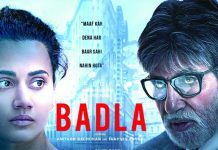 While the director Pandey tried to build on the suspense, he fails to keep the viewer’s attention because of it’s run time and clumsy writing. The movie talks about arms and ammunition scam for about one and a half hour, but ends with a focus on Aadarsh society Scam. The movie could have been salvaged by tighter editing but Praveen Kathikuloth fails to deliver on that front. Aiyaary suffers from a weak script but we liked a couple of dialogues which are apt to describe the Indian political circus and the subsequent corruption. For example, in one scene Manoj talks about the Kashmir issue and says the reason it’s not getting solved is because lot of people have to gain from it. Kashmir is not just an issue but has become an industry. Bitter yet true. The film has all the makings of a Neeraj Pandey film. Yet, it somehow fails to have a massy connect. DOP Sudeep Palsane has done a good job. Special mention to the make up artistes and also costume designer Falguni Thakore for doing such amazing work with Sidharth and Manoj’s different guides in the film. Action by Abbas Ali Moghul is okay but honestly, there is nothing to write home about. Talking about the performances, Manoj Bajpayee is as usual excellent. He tries really hard to hold the film on his shoulder; after all he is one of the central characters. His seasoned act shines through. Sidharth Malhotra looks to redeem himself, after the box office debacles: A Gentleman, Baar Baar Dekho and Ittefaq, with this film. His romantic portions with Rakul Preet Singh fails to work and seems forced. 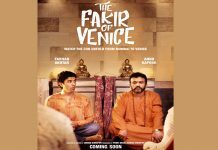 The supporting cast of Vikram Gokhale, Kumud Mishra, Aadil Hussain, Naseruddin Shan shine through. The music of the film is good but not extraordinary. This film has one such track ‘Lae Dooba’ which is on radio charts but is not as effective. On the whole, AIYAARY misses the mark and is a huge letdown on the account of its flawed script and the lengthy runtime. At the box office, it will be a disappointing fare. Next articleNatrang’s theatre workshop being inaugurated by its Director Balwant Thakur.